Boniforte da Concorrezzo, near Milan, was the merchant owning this superb house in the corner of the Herbs Square. 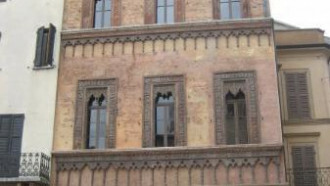 Dated 1455 it was built in a Venetian style and was very colorful. The marble freeze under the portico still shows what was on sale in this little bazaar. Very first nucleus of the city was probably the only dry elevated place surrounded by marshes. Neolithic remains have been found as well as remains from the Bronze and Iron Age. 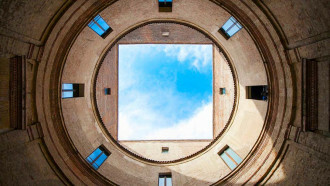 The city was probably founded by The Etruscans around the 6th century B.C. and conquered by the Romans in 220 B.C. 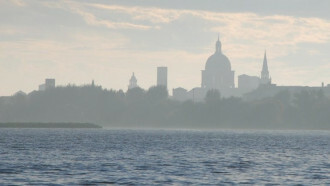 About twenty kilometres off Mantua this place is certainly worth a visit. 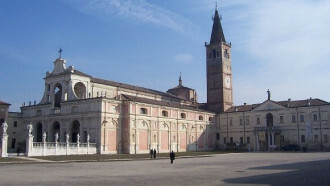 The Polirone Abbey was founded in 1007 by Benedictine monks on the shores of the river Po. 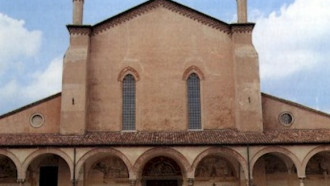 It soon became one of the most important abbeys in the north of Italy thanks to the Countess Matilde of Canossa first, and the Gonzaga family later. 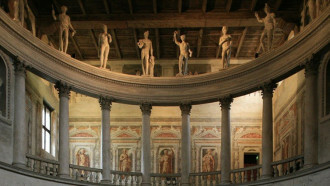 The most famous among the houses lived in by Mantegna, it was built in 1476. The date October 18th 1476 is still visible in the corner marble slab on the left-hand side of the façade. Ludovico Gonzaga gave him the land, as that was the easiest way for him to pay for the Painter’s services. 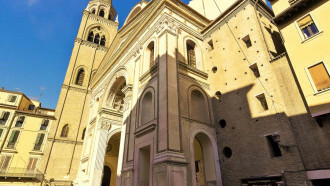 Just a few minutes from Mantua on the way to Parma another city enlisted by UNESCO among the World’s Heritage: Sabbioneta. 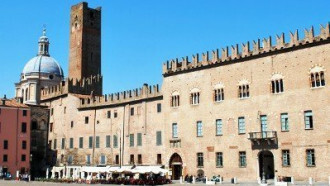 Entirely created by Vespasiano Gonzaga in the second half of the sixteenth century the city was born and died with its founder.